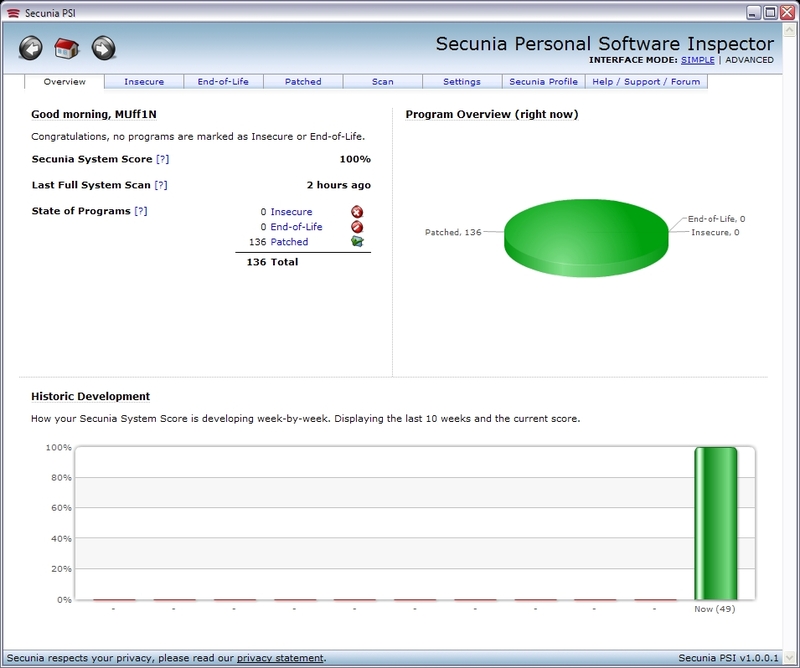 I've used the Online Software Inspector for over a year now & decided to check out the Secunia Personal Security Inspector that is installed on you computer instead as it's out of beta & they released the final version of it. This one is much more thorough in the scanning process & found unpatched & older insecure programs I didn't even know I had on my HD. 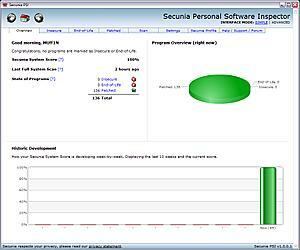 I was surprised that it found 6 insecure programs that needed to be updated or patched as I'm pretty good about staying on top of that for security reasons. Some were Photoshop plugin files. 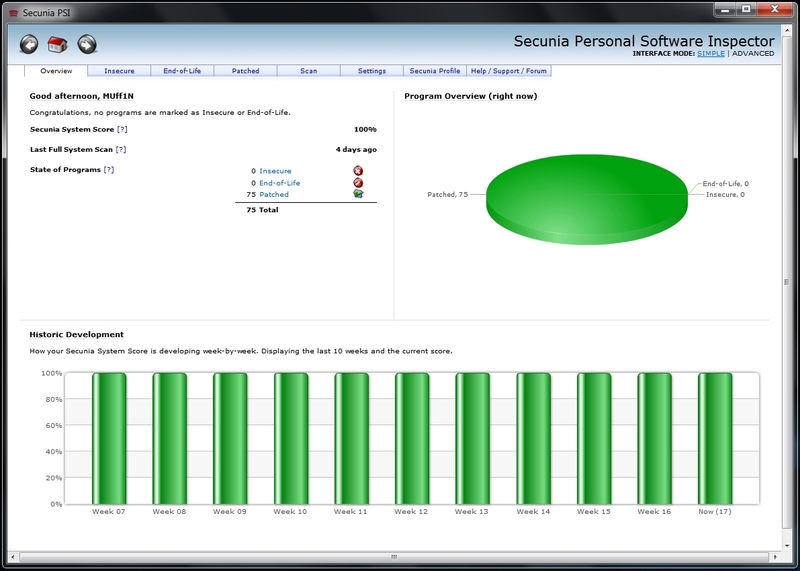 Make sure to use the Advanced mode in the Security Inspector as it's more complete on the information about the security problems. Anyways, if you are interested in checking it out you can download that here. Last edited by MUff1N; 5th December, 2008 at 02:48 AM. 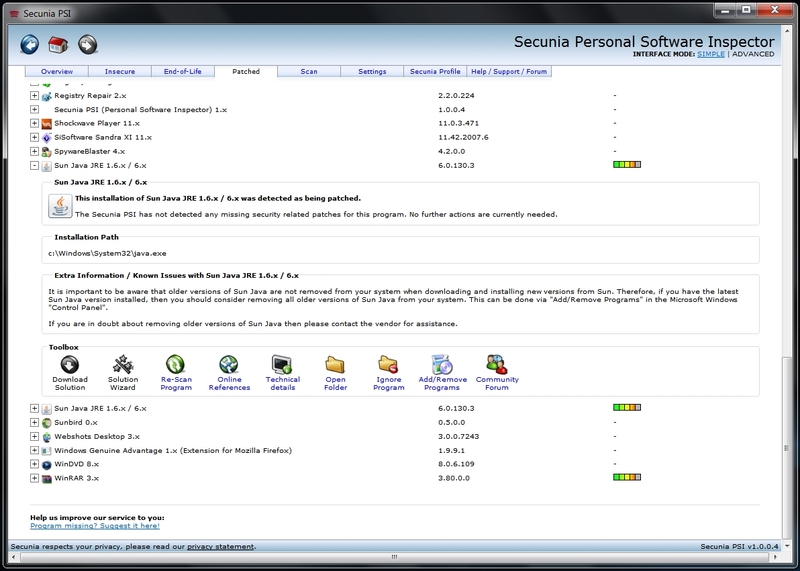 Been using this program to check on all the programs I have installed to make sure they are up to date with no security vulnerabilities. It's found quite a few that I never would have known about otherwise. Doesn't get any better than that!!! Last edited by MUff1N; 20th April, 2009 at 02:12 AM.